Today was Day #2 of Chocolate and Gluten Free Cookies. I sampled two Quinoa Choco-Chip Cookies from Goodie Girl Inc. (NYC). 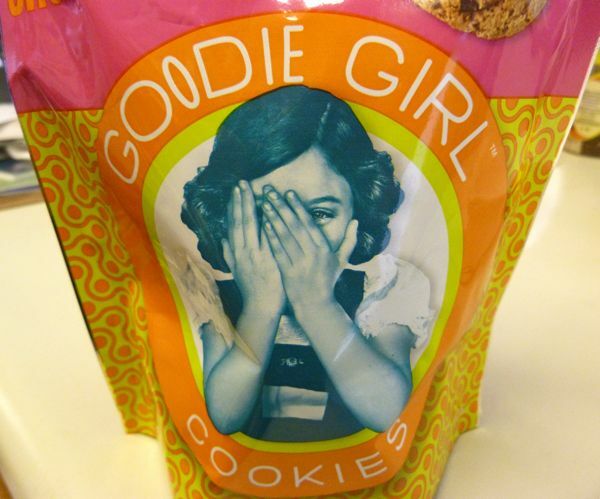 The upbeat, colorful (resealable) Goodie Girl package set the stage. Enter company founder, Shira Berk. She had a decade-long career in punk rock PR*, a stint as a plus-size fashion model, and has a cafe in Manhattan. She's juggled family and work, and focused on mastering "the perfect dose of sugar." Give this woman a hand; she knows how to live life fully. Like many entrepreneurs, I hope she also is able to squeeze in a rest now and then. To the marketing tagline "Just the right amount of wrong," I would add: and just the right amount of crunch. 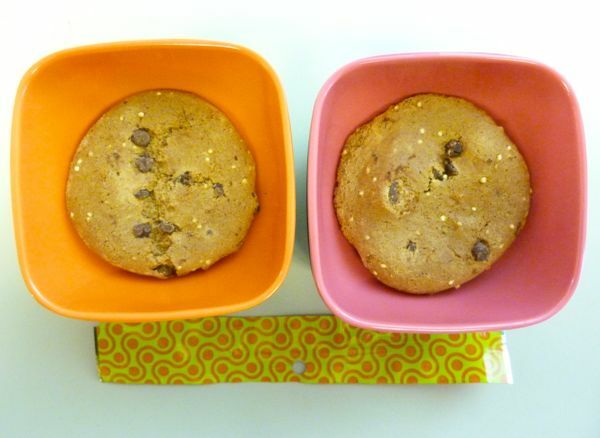 these cookies were flatter and crunchier (and less crumbly) than most gluten-free cookies. And sometimes you just need something with a buttery snap to satisfy that urge to crunch. These semi-sweet chocolate chip cookies were certified gluten-free and made with a gluten-free flour blend that included white rice flour, quinoa flour, corn starch and tapioca flour. *Her closing words/advice on the packaging: "Eat up and rock-on." Words to live by. Thanks, I'll give it my best shot.